Outdoor and destination weddings can also be planned with ease, but take more forethought. Get your research skills on point… find out as much information about the area as you can -specially the weather! Nothing is more comforting than experience, value the venue’s and the event planner’s opinion. If you’re dealing with a destination with stubborn weather, putting a deposit on a tent can be soothing; we recommend considering venues which offer an indoor option as well. 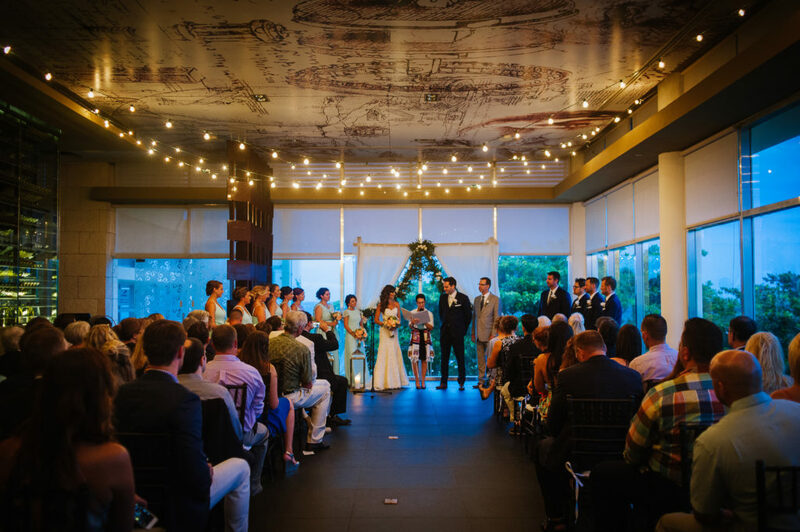 Don’t worry, there are still ways to make an indoor wedding feel like an outdoors celebration. Outdoor wedding sync: we’re all in this together! Keep everyone posted on the weather forecast. This way we can avoid melting cakes or improvised covering for the band’s instruments. Change of plans! Kayla, Jeff and their entire team really made an indoors wedding feel like an outdoors wedding. Garden weddings are lovely, but make sure to address bugs, mosquitos and other unwanted guests. You can incorporate citronella candles as part of you decoration, in the centerpieces or even in torches; pre-treat the area with a pest/extermination service if necessary. 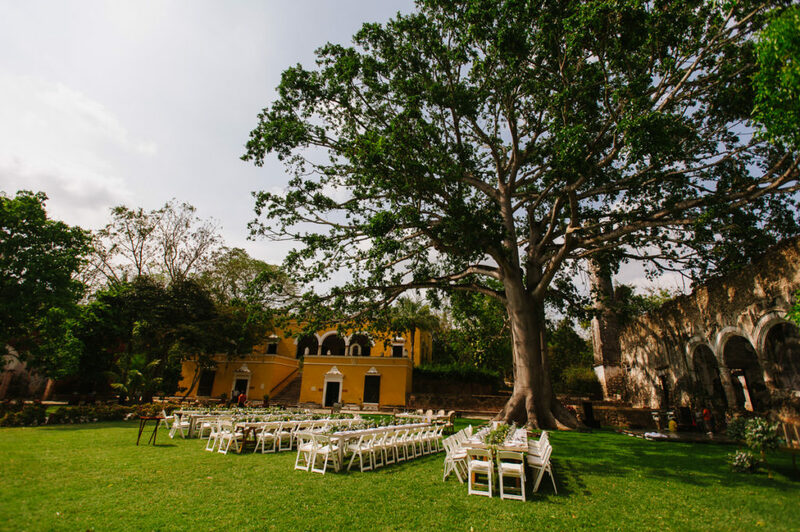 Daniella and Paul’s garden wedding at Hacienda Uayamon: lots of green, low center pieces and solid garden furniture. Also their team had tasteful white umbrellas in case it rained (it did), which saved the day! When it comes to beach weddings, “lightweight” can be synonym for messy. Choose thick fabrics, heavy centerpieces, steady tents/structures or alternatively, make sure to secure everything in place… including your hair. Another thing to consider if you’re planning to say “I do” in front of the sea, is the audio. Depending on the number of guests, you might want to consider getting clip mics. Always provide shade and refreshments to your guests and try to give them personal items to make them feel comfortable regardless of the conditions of the venue: sunscreen, wet towels, hand fans and maybe even pashminas if it cools at night. Check out our previous post about welcome bags to get a real insight on this memorable gesture! 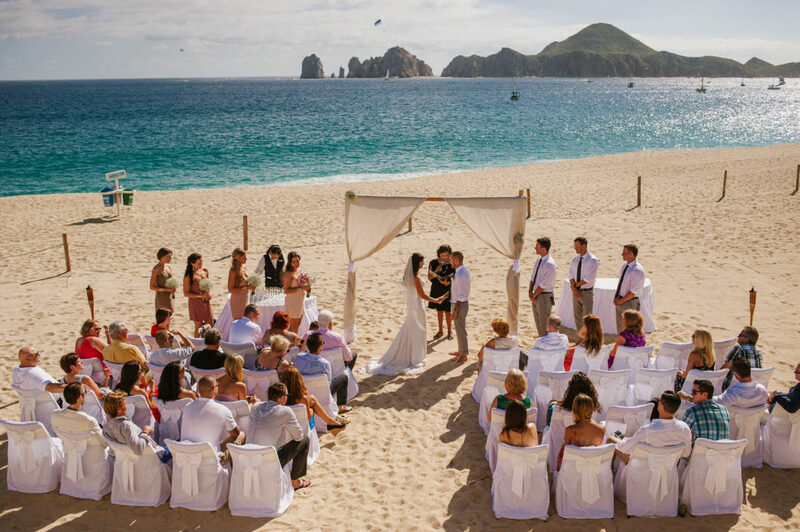 Jenny and Dave’s amazing beach wedding: this Los Cabos wedding had refreshments at the ceremony, the bridesmaids are rocking short dresses and they all went bare-foot (we can’t get over that view). 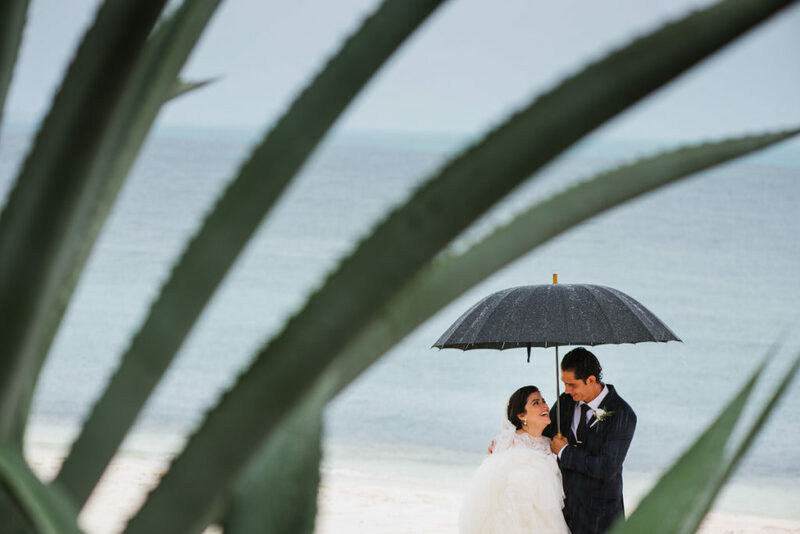 Rain, wind, lightning or alien invasion… it doesn’t matter, an event’s success is measured on the amount of smiles and love under any circumstances. 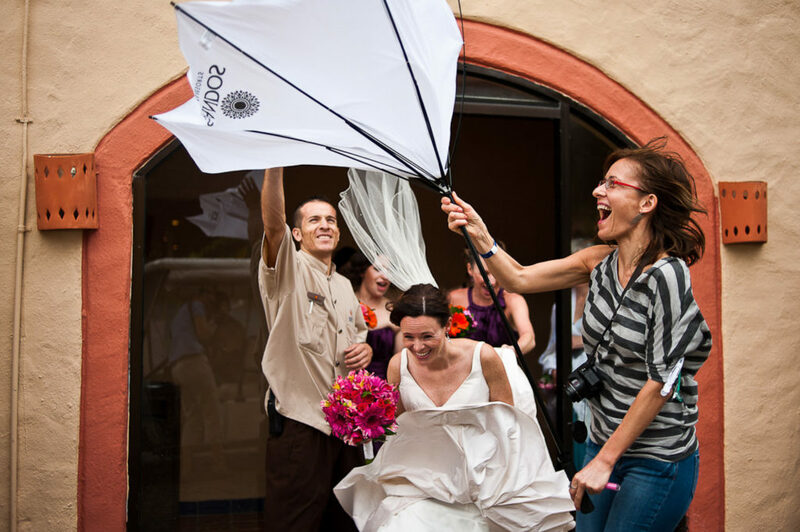 A wedding is a couple’s first challenge, face it gracefully and enjoy it no matter what. 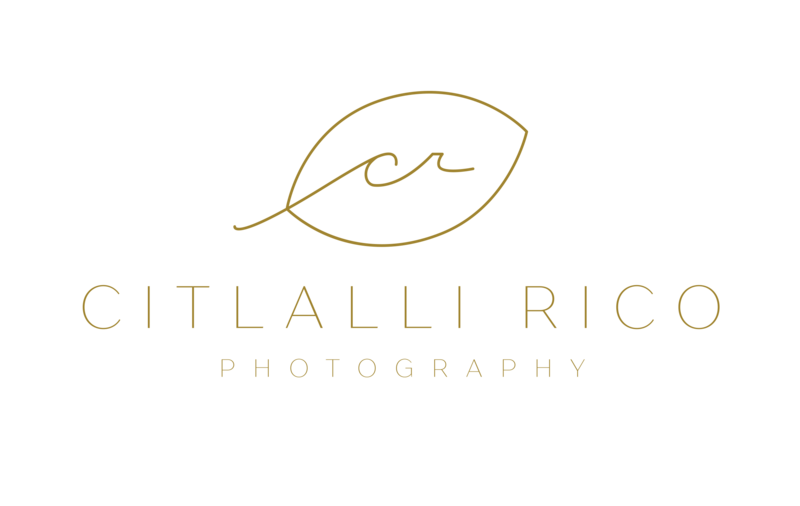 Learn to let go things that go beyond control and remember that real moments make the best memories and also, the best photographs. Basically, keep your ten mile smile. Ada & Michael wonderful day in Isla Mujeres, México. Where i live usually it’s sunny, but when rains is impossible and you solve it so fantastic with the umbrella and they smiling! It’s fantastic! Good information for couples!